Traveling light is the key so you should embrace everything that can help you pack less, even items you need close at hand. This is why Brooklyn-based designer Jack Sutter created Tight Wallets – to eliminate bulky pockets. 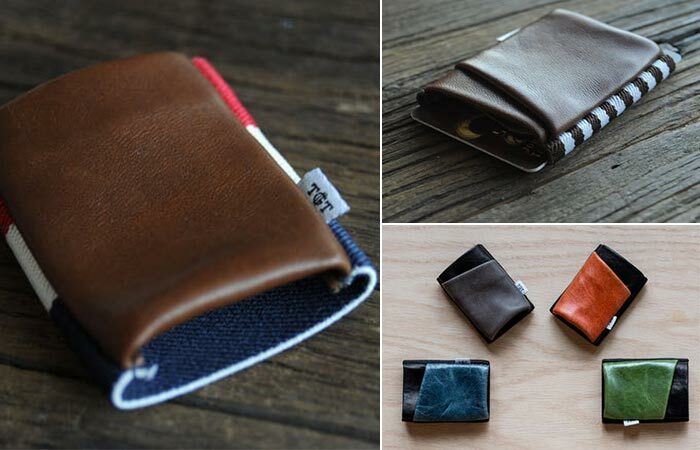 This compact wallet is minimalistic and comes in several tones. Depending on the model, the wallet is made from a different combination of ultra-soft premium leather such as Italian lambskin. It’s handmade in the USA and double-stitched so it can withstand everything you throw at it. We all know how easy it is for a wallet to lose it’s quality, especially if you keep pulling it out of your pocket. In this case, the durable leather and canvas will surely maintain the quality construction of the wallet. These cool Tight Wallets used a mixture of quality leather canvas and elastic band for their construction. In the stretch elastic main compartment, you can fit several cards as well as cash. There’s also a small leather pocket that can be of use. 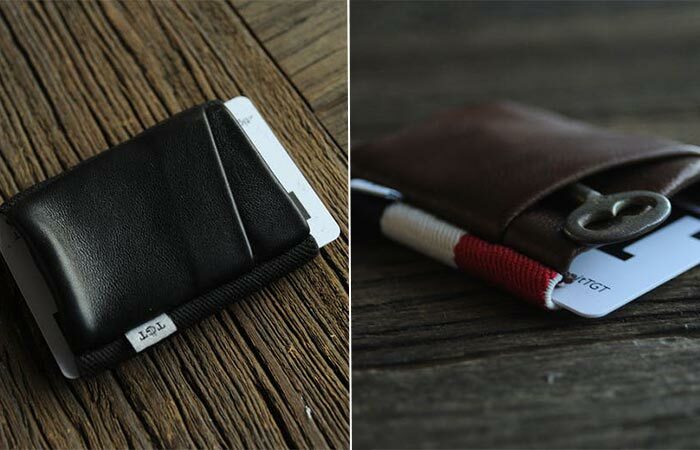 Finally, Tight Wallets measure 2.25″ x 2.75″ and are available in several colors. They are available in several models and colors, all having the same dimensions – 2.25″ x 2.75″.